‘Tis the season, and let’s face it, Neighbor, most major events are a mixed bag of suffering and celebration. Think about the anxiety, the exhaustion, as well as the emotional and time investments you make in everything from prom or wedding dress shopping to all occasions related to gift-giving. If I’m to be totally honest, as much as I LOVE celebrating and gift giving, I do on occasion dread trying to juggle the added errands and details in with my day-to-day demands. I don’t know about you, but the way I minimize stress on my schedule, my sanity, and my finances is to shop year-round. Whenever I’m out and I see something that would make a nice gift for someone, I buy it then and save it for later. For those of us who have experienced any significant Life Loss Event, the truth that sometimes later never comes is a daunting one, looming in the darkness of our grief underbelly and undermining both our days and dreams. 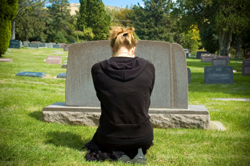 Oh, how I remember those many dismal days following my seven-year string of significant loss events that included my son’s death, two miscarriages, a severe depression, and an affair between my husband and my best friend. Every anniversary, birthday, and holiday loomed in the not-to-distant-future and often left me feeling like I was barely keeping my head above those proverbial waters. 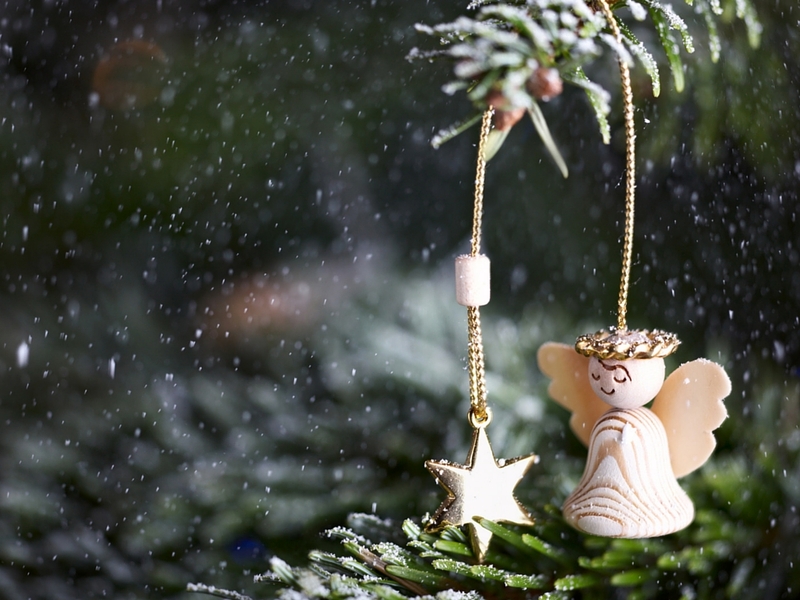 For many of us, December is a month-long list of festivities centered around joy and miracles, but for those of us whose heartaches feel fresh and raw, each day reminds of us what has gone missing from our life. Twinkling lights become a stark contrast to our inner darkness, songs incite sadness, gatherings garner anxiety, and good will might seem impossible. Those days are long behind me now, and I can honestly say that you, too, can not only survive the coming holiday season, you can navigate all of them with a little more confidence, grace, and ease than you might imagine. Below are my top five holiday healing tips to give you hope and to help you heal as you count down the days. Yes, asking for help can be hard, even harder when we know everyone is busier than normal. That said, one of the greatest gifts you can give another person is the gift of receiving. We need to feel needed, useful, and valued. Asking others for help lets them know you trust and appreciate them. Enlist the help of your family and friends to assist you with shopping, decorating, child care, cleaning, cooking, companionship, and creating your own moments of self-care. Holidays and celebratory events are often steeped in tradition and ritual. These consistencies help us know what to expect from year to year and help streamline the process of organizing and orchestrating these occasions. The flip side is that these customs can further drain your already depleted energies. Allow yourself the freedom of flexibility by adapting how you have done things in the past, and know that you can always return to your customs when you are feeling stronger. Your focus, stamina, will, and desire are often at all time lows when your grief is at an all time high. Sometimes, Neighbor, choosing to temporarily (or indefinitely) let go of certain customs can help you feel a little more empowered and at ease during the holiday seasons. Accept that at any time you can choose to renew or revive those rituals. Skip the individual greeting cards this year. Choose a few favorite decorations to put out and a few favorite festivities to attend. You may think of The Holidays and other celebrations as seasons and reasons for giving. Be sure to give to yourself, too, Neighbor. I liken it to the airlines’ important safety messages: Put your own oxygen mask on before you help others. When you take care of You, you are better able to take care of others. And when you take care of YOU, you are better able to move through each day a little more easily. Take that nap or that walk in the woods, go for that run, snuggle with your pet, soak in a bubble bath, or binge-watch your favorite holiday movies. If you cannot or will not give yourself permission, please accept that blessing from me. Boundaries are a valuable part of everyday peace, but are essential to navigating The Holidays with grace. When you identify what the things you want and need to feel safe, comfortable, and valued, you are better able to share your goals with others. Go ahead; decide how many parties you want to attend how many guests you want to invite into your home, if you want to host that annual activity, and above all else, remember that you are only responsible for your own happiness and you cannot predict how others will respond.